Summary : Tasty, reasonably priced Neapolitan style pies in Astoria stand out in a neighborhood not known for it's pizza. Queens is one of New York’s best boroughs for food. But pizza is not its strong suit. If I were to rank the five boroughs in terms of pizza quality and variety, Queens would likely be last. But that doesn’t mean there aren’t some gems to be found. 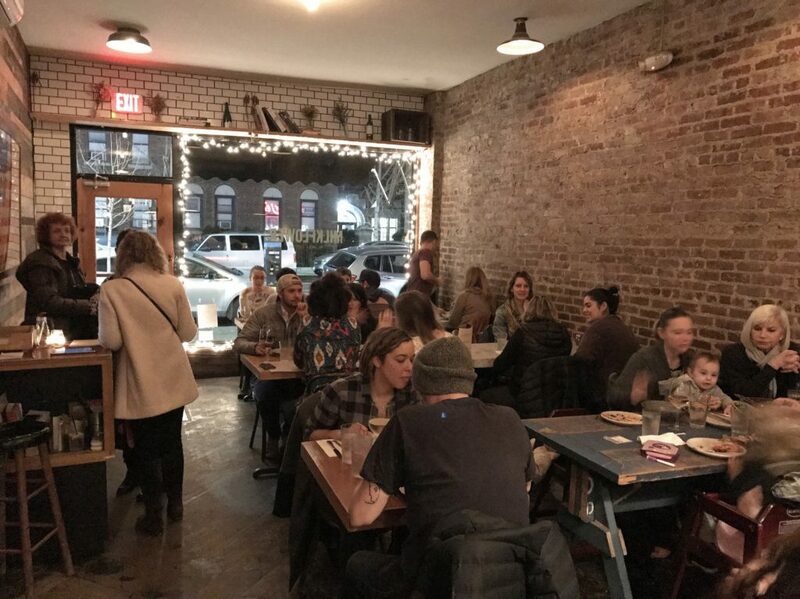 Three years ago, a wood-fired spot opened in Astoria (again, better known for its Greek fare) called Milkflower (34-12 31st Ave). 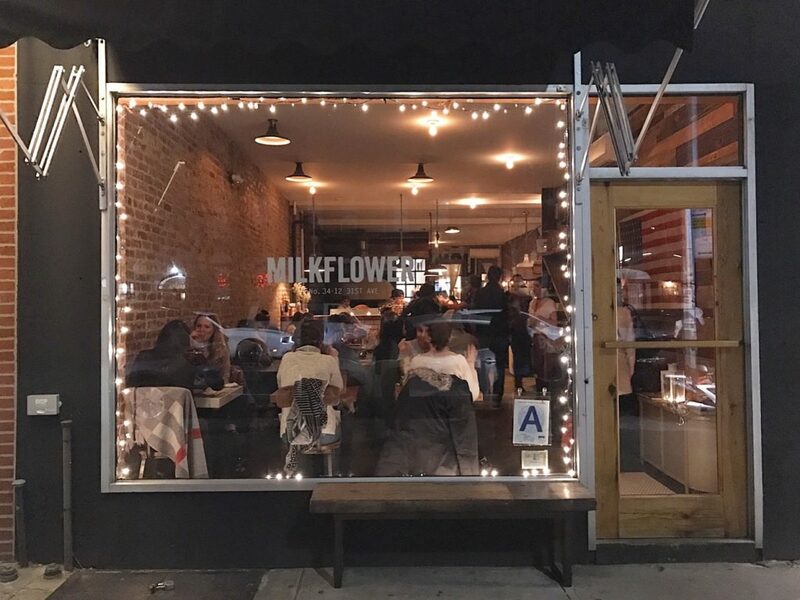 In any neighborhood in northern Brooklyn, Milkflower might just be considered one of many hipster pizza spots. But in Astoria it’s THE spot. I paid a visit there with some friends on a recent Friday evening, and although the wait for a table didn’t approach that of Roberta’s, when we left around 10PM every seat was still occupied. 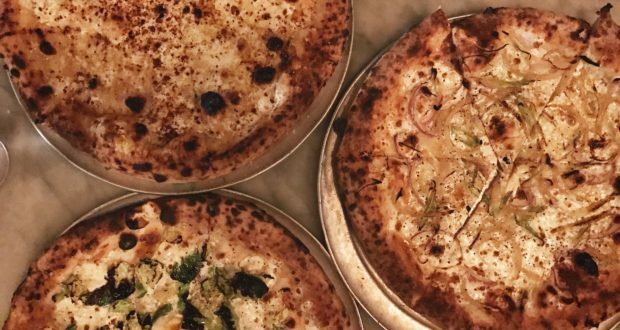 The menu boasts over a dozen pies and they top out at $17 — which I found quite reasonable. A margherita pie (called “queen” here) is only $13. 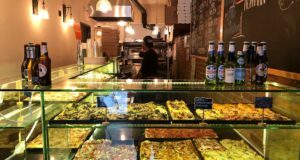 Although there are different economics involved with running a pizzeria in other boroughs, during a recent visit to Speedy Romeo on Manhattan’s Lower East Side, I noticed that there were only three pies priced below $20. 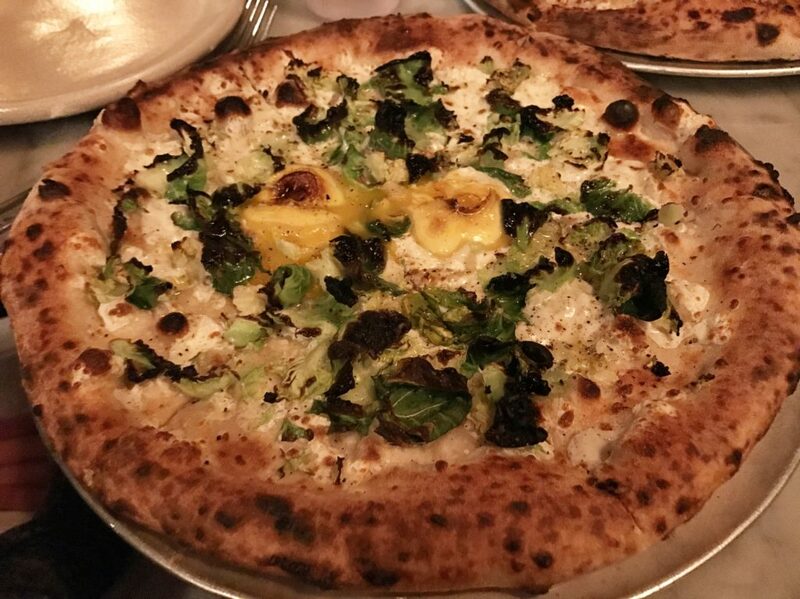 The same can be said for the menu Co. in Chelsea, which was one of the first Neapolitan style spots to open in Manhattan back in 2008 (a margherita there is $18). Needless to say, if you live in Manhattan and want a 25% discount on high quality pizza… take the train out to Astoria. 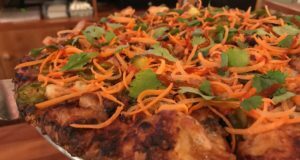 Besides pizza, Milkflower also serves about 20 other dishes, broken down into: starters, salads, pastas, and small plates. 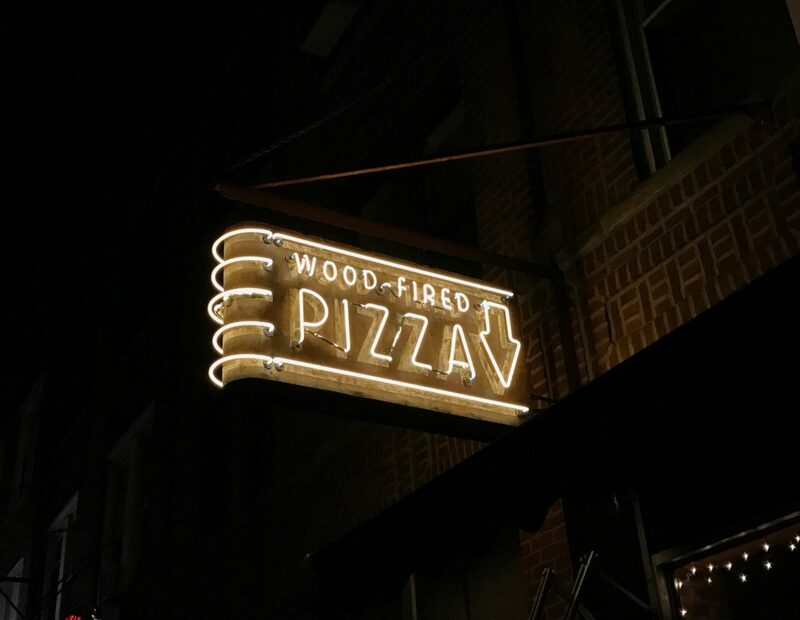 I guess that technically makes it a full-fledged restaurant that specializes in pizza. 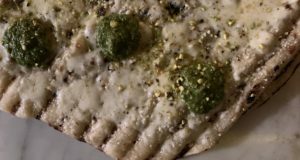 Other than an order of shishito peppers, our focus was their pies. Of the four we ordered, the standout was the “S.T. 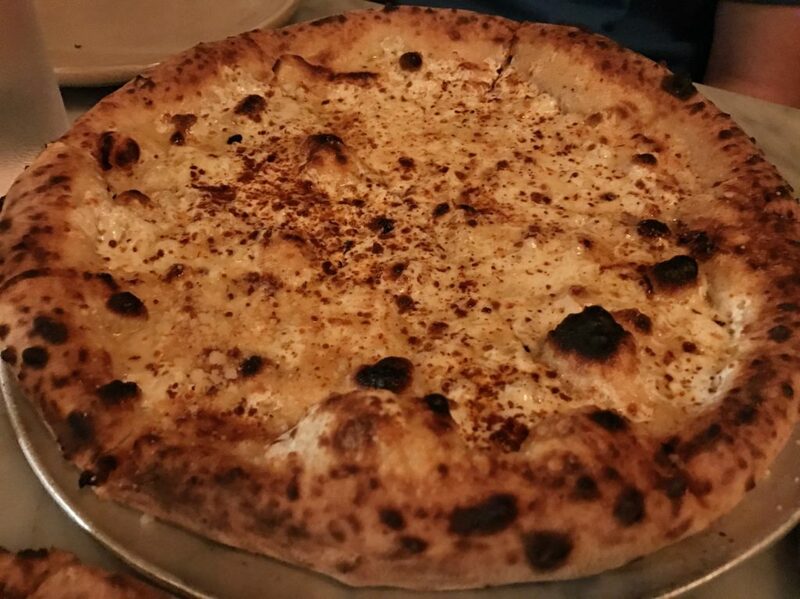 The Ghost” featuring coastal cheddar, mozzarella, parmesan, and burnt honey. I’m a sucker for any pizza that has honey. 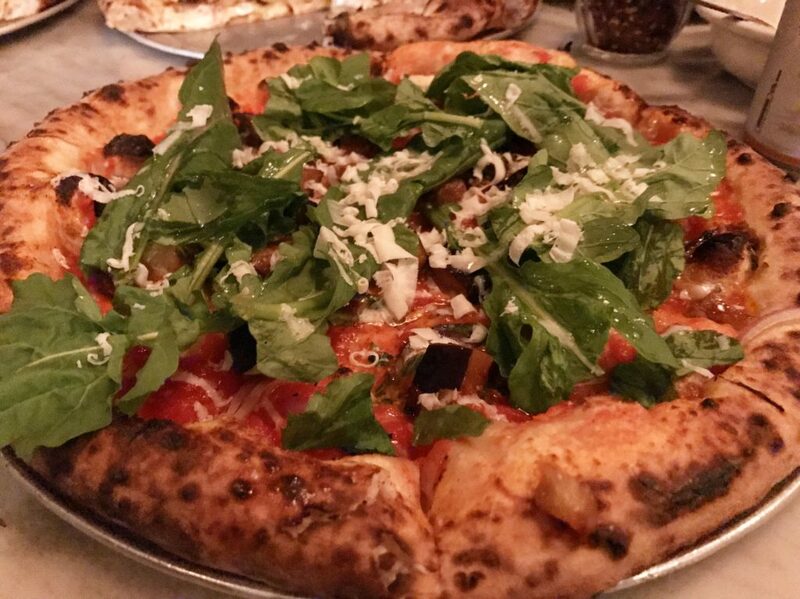 And the most unique pie was an eggplant pie featuring roasted eggplant, tomato, red onion, garlic, arugula, and ricotta salata. The eggplant had a smoky taste to it which provided an unexpected flavor. Another trip is needed to explore the pizza menu in more depth. 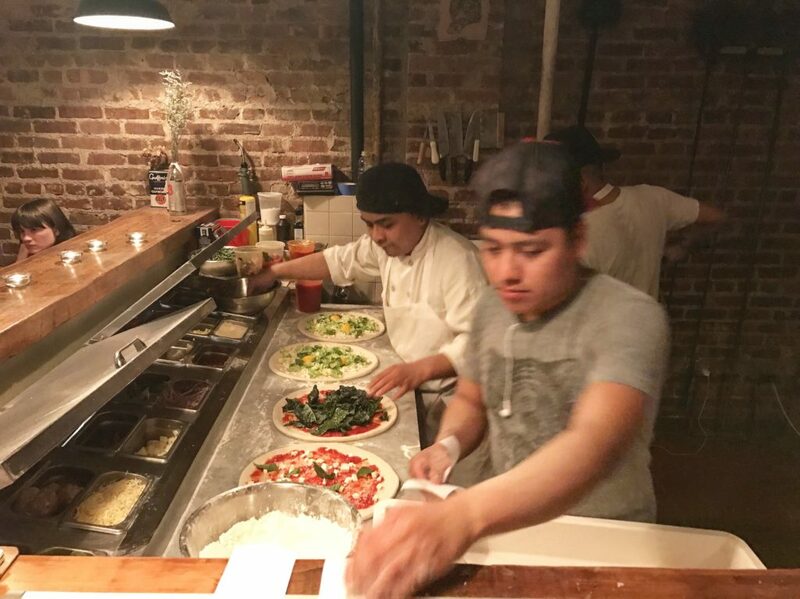 But I was impressed with our sampling of pizzas — interesting topping combinations, high quality ingredients, and a cool vibe… all at a reasonable price point. 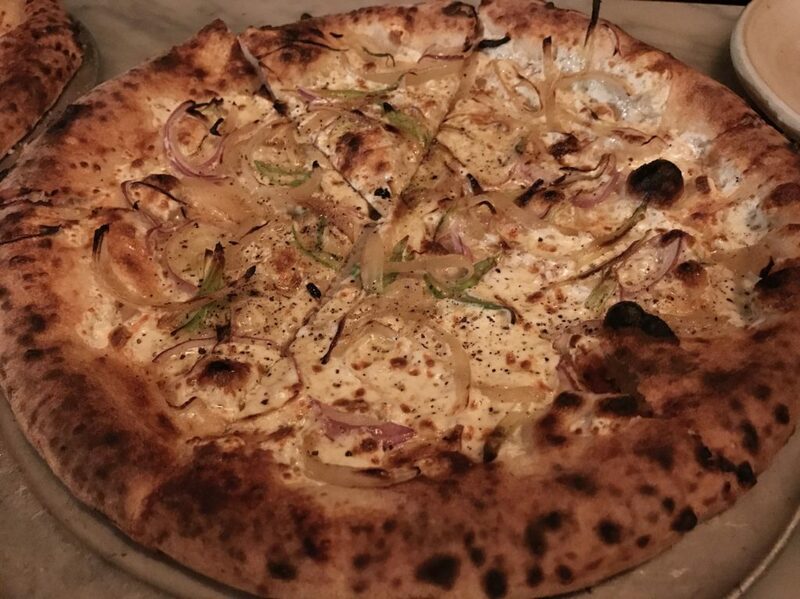 I don’t think Milkflower can single-handedly elevate the pizza status of Queens. But you need to start somewhere. And I can’t think of a better neighborhood than Astoria for that.